If you are like me, you have already realized by now that relying on your paycheck alone won’t give you the desires of your dreams. Want proof? Let’s say you are a young family with 2 kids. You and your wife both have a stable job with a promising career. 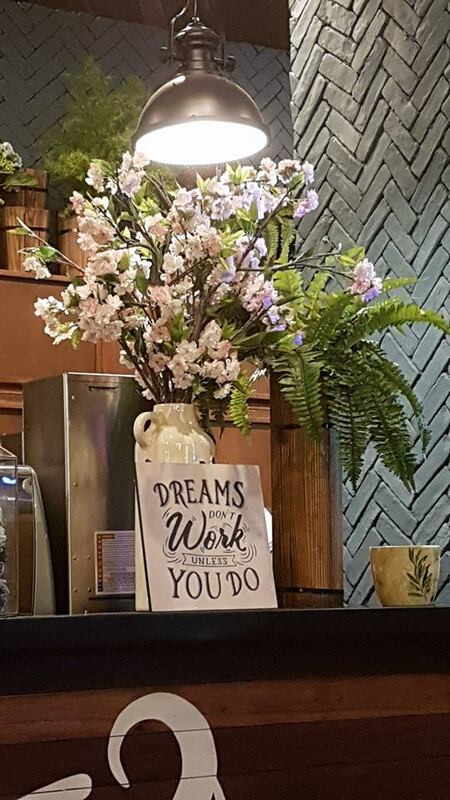 You have BIG DREAMS for you and your family. 1) HOUSE & LOT (P5M) – You want to have a HOUSE & LOT. What do you say is a reasonable amount for a house and lot? P5Million? P10Million? more? Of course some would argue that they can live in a simple house, preferably in the province…or just outside of metro manla. The thing with having a home away from your work place is you would need to increase your spending for transportation. 2) CAR (P1M) – Let’s say, since you want a comfortable ride for the whole family, you want to buy a decent car. That will, be around P1Million, not including parking, toll, gas, maintenance, insurance, and more. 3) TRAVEL (P2M) – You also want to travel and bring your whole family to a beach vacation in Boracay or overseas at least once a year, so let’s say you want to do it for at least 10 years, that will amount to P200,000 x 10 = P2Million pesos. Total all of the figures above and you will get the PRICE of your DREAMS. In this example, that is going to be P13Million. That’s only for a decent living with basic expenses. Certainly not at a luxurious level yet. The #1 reason most people don’t achieve their dreams is because they don’t know how much the price is. If you are still reading up to this moment, you are way ahead than most people because now you know HOW MUCH IS YOUR DREAM. Now, the next question you will have is HOW WILL YOU CREATE THE P13Million?!!! Would you let me give you some ideas you can consider? 2) You could marry someone rich. For some people that’s their basic strategy in becoming rich in life. Obviously, there’s a lot of pros and cons to that. But, living with someone for the sake of money may not be the best use of your life. You only have one life to live. 3) You could become a famous athlete like Manny Pacquiao or a basketball start like James Yap. Did you know the minimum wage of a basketball player in the professional leagues is around P50,000/month and the maximum is around P425,000/month. Not bad! But we all know the life of an athlete is plagued with a lot of risks. What if you injure yourself, what if you get cut, etc etc. Not to mention that you would need to start at a young age to train just to be able to compete. 4) You could become a businessman. Did you know majority of millionaires are entrepreneurs? But we all know the world of business is not for everyone. 9 out of 10 businesses fail in the first 5 years. Of those that survive, only 1 out of 10 make it after 10 years. 5) You could do nothing and stay where you are. In most cases, as an employee you would have to rely on your paycheck to earn the P13Million. Now let’s take a closer look. Let’s say for example that you are able to save up at P10,000 a month from your job. In 1 year, you would have saved P120,000..after 10 years, that’s P1.2M, after 20 years, P2.4M…and by the time you reach the retirement age of 60 (after 40 years of working), you would have saved a total of P4.8Million pesos. Let me give you a moment to digest the last figure one more time. P4.8Million after 40 years of working. All your life, you did as you were told. Never made any scene. Stuck to your job and worked…so hard, only to get this in return. P4.8Million in 40 years. Here are some things that you will soon realize. 1) The P4.8Million you saved is nowhere near the P13Million you need to buy your DREAMS. In fact, it’s not even enough to buy your DREAM HOUSE OF P5Million. Even if let’s say you are able to save the additional P200,000 to reach the P5Million price, do you really think the price of the house is going to still be the same after 40 years? The answer is definitely not. There is such a thing called inflation. 2) Some people would argue that the P10,000 can increase after some time since you can get promoted. At first glance, you would think that makes sense. In real life, it doesn’t happen that way. After a promotion, an upgrade in lifestyle would soon follow. What used to suffice is no longer appealing. Of course, a manager or a doctor would have to look the part of a successful or a newly promoted professional. Buy new clothes, new gadgets, and eat out at new more expensive restaurants that would align with their new image or lifestyle. This is what some people call as keeping up with the Joneses. So even if the salary increases, the expenses increase as well. Nothing is still saved up. 3) Everyone who have been working for at least 5 years already know this. It is NOT ENOUGH. In fact, when you ask an employee, what they will do after retirement, almost all will say they will put up a business. Surprisingly, famous athletes go into business after their playing days are over as well. Even celebrities go into business just the same. Everyone know relying on your paycheck is NOT ENOUGH, and adding income by starting a BUSINESS is one of the most feasible options you can have. Why? Anyone can enter a business. Today, anyone with a mobile phone can do business. With the power of the internet, this has become possible. Why then are people still not starting a business? Lack of capital. I don’t have money to start a business. Lack of knowledge. My father was an employee. My mother was an employee. Everyone I know is an employee. Who will mentor me to start a business? Lack of resourcefulness. What if I fail? What if I lose money? What if it doesn’t work? Fear of what other people will say. What will other people think of me? What if everyone will ridicule me? What if I become an embarrassment to my clan? There are so many reasons why starting a business is not feasible for you. But always remember, you only need one reason why you can make it a success. So what if you don’t have money? Can you borrow capital from someone who trusts you? It’s not a question of having resources…but of having RESOURCEFULNESS. So what if you fail? At least you tried. Those that do not fail are not doing anything at all. So what if you don’t know how? You can always ask. Google. Act. Fail. Succeed. Learn. Repeat. So what if people will ridicule you? They do not own the DREAMS in YOUR HEART. You alone will look in the mirror at the end of the day and say, you made it. The journey of a thousand miles begins with a single step. My journey has been like that for the last decade. After realizing I need to make some changes, I simply closed my eyes and got started. I started a business part-time, struggled to get it off the ground. I failed many times. Got rejected. Discouraged. Got up again. Licked my wounded ego. Moved on. Eventually, I was able to quit my 9-year IT career to grow my business full-time. Now it’s been more than 5 years since I quit. Never have I felt more free to DREAM and pursue the things I want in life. The next 5 years is going to be very exciting. The DREAM is still alive. 🙂 I hope you find the courage within you to pursue your dreams as well. There’s help on the other side when you decide to make a change in your life. 🙂 Cheers to your success!!! P.S. In my next article, I will share you the one thing you need to know before you start your own business. If you don’t learn this, starting a business will get you further in debt instead of earn you additional income. P.P.S. I’m expanding my business and currently looking for partners. Only 4 slots left. CLICK HERE to learn more.